Four winter wheats and a pair of two-row winter feed barley candidate varieties have the potential to wow northern growers with improved yield, quality and market opportunities. Grain distilling, biscuit making and animal feed are the key end uses for wheat in northern Britain, so soft wheats often dominate drilling plans and three candidates from Limagrain are sparking interest from the seed trade. With a current treated yield of 109%, the first is LG Skyscraper, which is predicted to achieve full recommendation for 2019-20 as the highest yielding soft feed wheat on the AHDB Recommended List. High yielding feed wheats have typically had lower specific weight, but LG Skyscraper bucks that trend with 77.7kg/hl and early indications show that the variety also has good distilling qualities. With the addition of early maturity, SRUC’s head of crop improvement Steve Hoad believes it will be an “easy choice” for many growers looking for a new soft wheat variety with distilling potential. “There are several soft feed varieties that have been around for a while and some are becoming outclassed. LG Skyscraper looks encouraging, with both high yields and good quality,” he notes. The second new Limagrain soft wheat is LG Spotlight, which has a yield of 106%, but it is the variety’s grain quality that is the most eye-catching characteristic. Soft wheats tend to have a Hagberg falling number (HFN) of 200 or below, but LG Spotlight combines a HFN of 316 with a specific weight of 79 – higher than any current soft Group 4 feed wheat. This gives growers the confidence of a good sample, even in tough seasons. 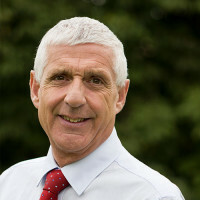 In addition, soft Group 3 candidate LG Rhythm has also performed well in the north in trials so far and joins Zulu as the only varieties to offer potential for three markets – biscuit making, distilling and uks export. “It’s interesting to see progress in quality wheats with distilling potential and it gives growers an alternative to Zulu,” says Dr Hoad. The final Limagrain wheat up for recommendation later this year is hard Group 4 LG Jigsaw. While many in the North prefer soft Group 4s, its high tillering capacity, prostate growth habit and slow spring growth – like its parent Revelation – make it ideal for an early drilling slot. On top of the soft wheats, two new two-row winter feed barleys – LG Flynn and LG Mountain – look set to narrow the yield gap to six-row hybrids and offer northern growers some improved choices. Dr Hoad says feed barley selection is driven by yield and specific weight and LG Flynn provides both, with a yield of 105% and specific weight of 69.3kg/hl. LG Mountain is also an attractive proposition for the North, having a yield of 107% and good disease resistance package, including a score of 7 for net blotch and 6 for Rhynchosporium. 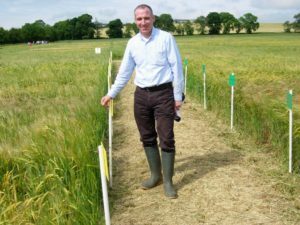 He adds that the two new varieties could have a knock-on effect on yield progress in two-row feed barley, adding genetic diversity with potential for further year-on-year developments in the future.